Winter is finally over and it is time to start growing plants. I am starting to collect my leftover eggshells for my garden. This is a picture of the eggshells before they are washed. They should be rinsed before you crush and add them to the garden. I have been reading a lot about soil nutrition. Calcium is a very important mineral for soil. If there is not enough calcium in the soil many problems arise. What are the signs of calcium deficiency? “Calcium deficiency in organic garden plants takes many forms. General symptoms include leaf margin necrosis on young leaves, leaf curling, and eventually terminal bud and root tip death. New growth is affected first, but the older leaves can be affected if the deficiency isn’t corrected. Many have heard of or experienced blossom end rot on tomatoes and peppers. It begins with a sunken, decayed spot on the end of the fruit farthest from the stem – the blossom end. It’s possible that not all the fruit on the plant will be affected. What are eggshells made of?? 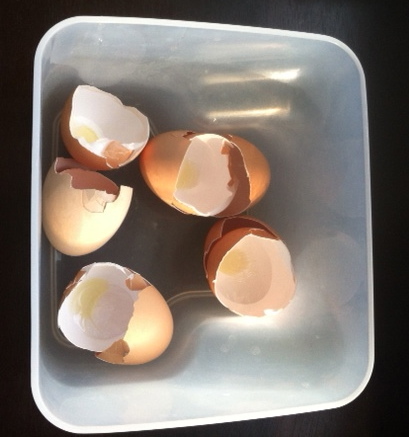 Since we eat lots of farm fresh eggs… I am happy to save the shells for my little seeds that I am about to plant. 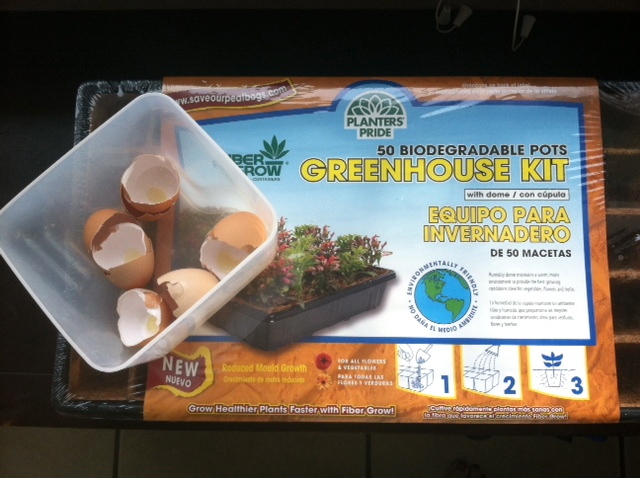 You can even use the eggshells for starting your seeds. Which is what my plan is for now. I am just waiting on the organic soil from Amazon to arrive. 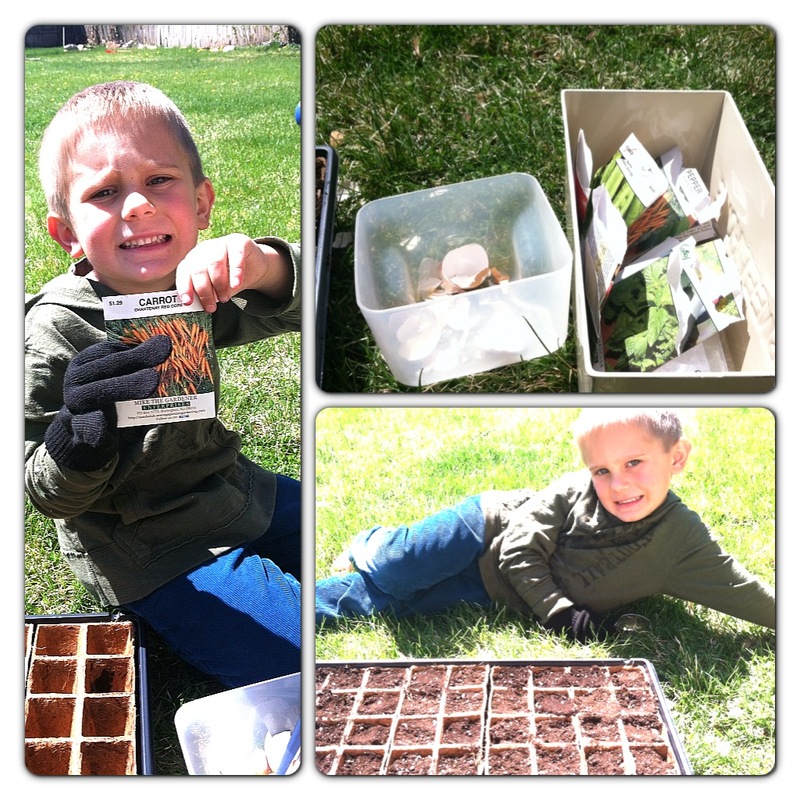 We are using the Non-GMO seeds from Vegetable Gardening. We live in Utah now, so we have to start our seeds indoors. My friendly neighbors have told me that you can plant outside after Mother’s Day. No more snow then! I live in an area where most people garden. I love watching people garden. Five Ways to Use Eggshells in Your Garden. 2. Use eggshells as pots for starting seeds. Then plant the seedling, “pot” and all, into the garden. 3. Use crushed eggshells to deter slugs, snails, and cutworms. These garden pest are a real pain in the gardener’s neck, and cutworms are the worst, killing seedlings by severing the stems at soil level. All three of these pests have soft undersides, and dislike slithering across anything sharp. Crushed eggshells, applied to the soil’s surface, may help deter these pests. 5. If you are feeding birds in your yard, crush up the eggshells and add them to a dish near the feeder. Female birds, particularly those who are getting ready to lay eggs or recently finished laying, require extra calcium and will definitely appreciate it. I hope that you are getting your gardens ready for the Spring! It is a great way to save money and learn something new. My boys are sure excited this year. We’ll be posting pictures as we go….